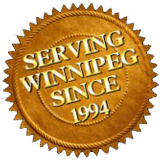 When you need climate controlled indoor storage in Winnipeg, Fort Knox Storage is here to help. Just like our namesake, we offer secure storage for your valuables, odds and ends, and everything in between. When you don’t need climate control for your belongings, we offer you secure steel containers that are 20 ft. deep! Fort Knox Storage is also proud to offer a 3½ acre outdoor storage lot for cars, RVs, boats, and more. Give us a call or use the e-form on this page to get in touch about storing your vehicle, goods, belongs, and more with Fort Knox Storage!